The little ol’ band from Texas had previously released several compilations – including a 4-CD boxed set from 2003 – so this latest one, The Very Baddest, isn’t exactly a revelation. But what makes this 2-CD set unique, however, is that it includes tracks from ZZ Top’s RCA Records period between 1994 and 2003. 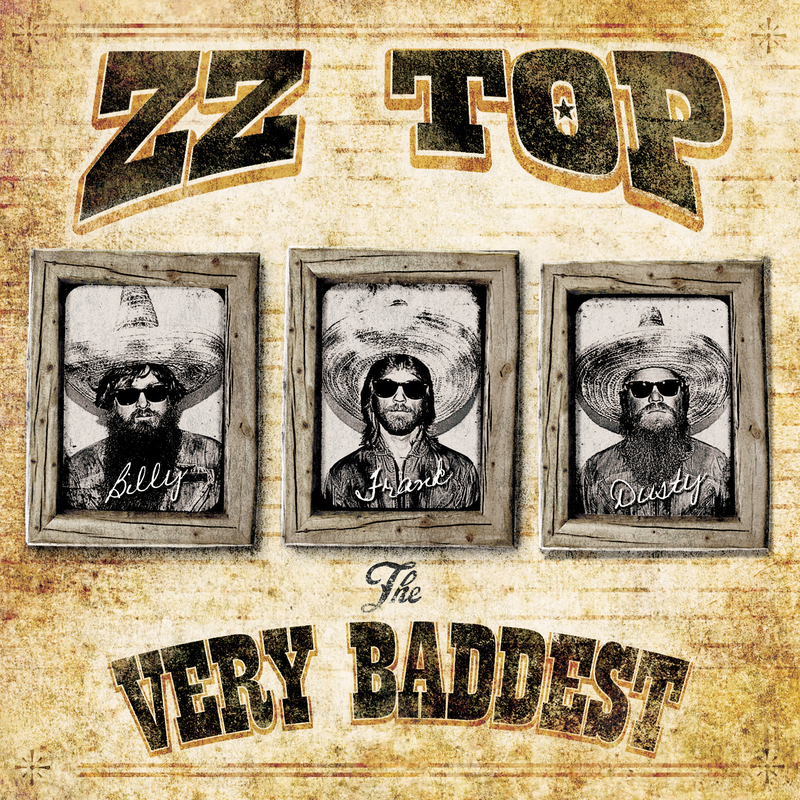 So in a way The Very Baddest almost spans the blues rock trio’s entire career (there are no songs, however, from ZZ Top’s most recent album, 2012’s La Futura). Either way, the track selections from the London Records, Warner Bros. and RCA eras offer a pretty balanced overview of the band’s nearly 45-year recording history: from the rootsy early years (“La Grange,” “Tush,” “Waitin’ For the Bus,” “Jesus Left Chicago”), through the massively-successful multiplatinum period (“Legs,” “Sharp Dressed Man,” “Give Me All Your Lovin,” “Velcro Fly”), to a return to straightforward blues (“Mescalero,” “Fearless Boogie”). After the previous greatest hits packages that focused mainly on the successful Warner Bros. years, The Very Baddest is an opportunity to hear the RCA stuff that’s probably been overlooked. A longtime fan might quibble about an omission here and there, but overall this new set is more than satisfying and thorough.